One of the greatest works created by any culture and overwhelmingly the most influential of all Tibetan Buddhist texts in the West, The Tibetan Book of the Dead has had a number of distinguished translations, but strangely all of these have been partial abridgements. Now the entire text has not only been made available in English but in a translation of quite remarkable clarity and beauty. A comprehensive guide to living and dying, The Tibetan Book of the Dead contains exquisitely written guidance and practices related to transforming our experience in daily life, on the processes of dying and the after-death state, and on how to help those who are dying. As originally intended this is as much a work for the living, as it is for those who wish to think beyond a mere conventional lifetime to a vastly greater and grander cycle. 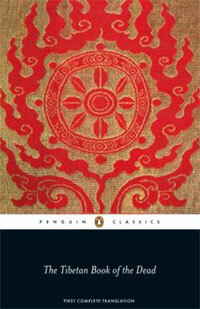 The most celebrated and widely read work of Tibetan literature outside Tibet . . . now in its finest and most complete form in this excellent English translation. This new translation of The Tibetan Book of the Dead is a tremendous accomplishment. The whole text is a vast source of inspiration. An inspiring and vital commentary on the one experience we all share. Magnificent . . . beautiful verse meditations. One of the great scripts of world civilization... a voyage inside the profound imagination of a people, immaculately rendered in an English both graceful and precise. Published by Random House, 1993.. 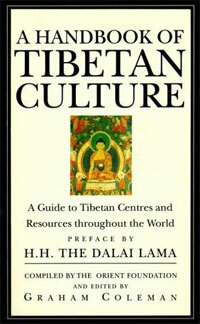 The first comprehensive sourcebook on Tibetan culture. It consists of biographies of lamas and scholars, a directory of over 600 Tibetan-related organizations around the world - monasteries, libraries, museums, cultural centres, etc - a map of monastic sites in Tibet, and a glossary of key Tibetan, Buddhist and Sanskrit terms. 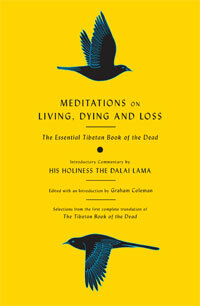 With an introductory commentary by His Holiness the Dalai Lama, Meditations on Living, Dying, and Loss is a compilation of essential writings from the first complete translation of The Tibetan Book of the Dead, whose visionary perspective on living, dying, and loss is one of the most inspirational in world literature. These selections address becoming more aware of our psychological habits; our understanding of the process of dying and the nature of the after-death state; and the challenge of bereavement. Drawing on his experience of loss and his knowledge of contemporary near-death research, editor Graham Coleman illuminates this ancient text’s secrets, revealing the immense creativity that expanding our insight into the relationship between living and dying can bring. The perfect introduction to The Tibetan Book of the Dead for Buddhists and non-Buddhists alike.